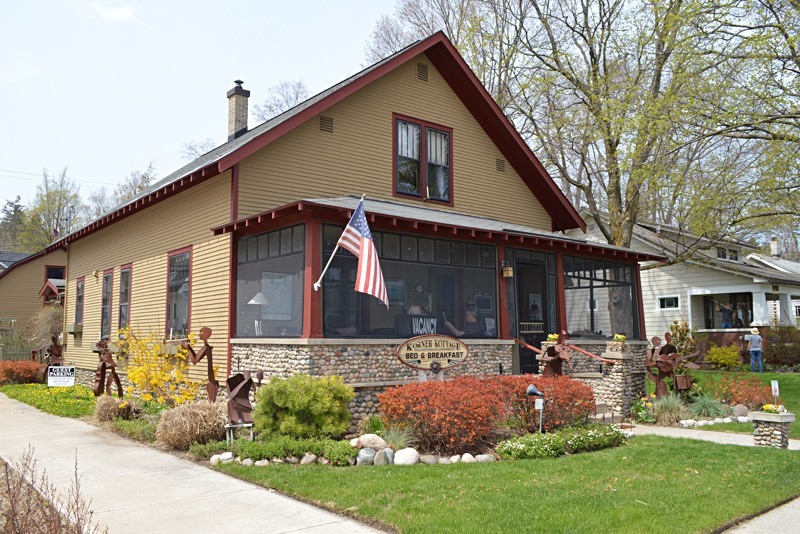 A quaint craftsman style B&B along scenic M~22 in beautiful village of Suttons Bay, Michigan. Step back in time and rest, relax and restore your soul. We take care of all the details. This elegant B&B in a 1920s cottage is 1 block from a sandy Lake Michigan beach and 2 blocks from the Suttons Bay town center. Chic, air-conditioned rooms are individually decorated and feature free WiFi and flat-screen cable TVs, plus private bathrooms and minifridges. Full breakfast is included and features signature granola plus hot entrees made with locally-sourced products. The house features original artworks and sculpture.